Have you recently accessed a website and have you seen that the browser indicates that the site is not secure? Is it the case with your website? This happens because you do not have the SSL security certificate installed. 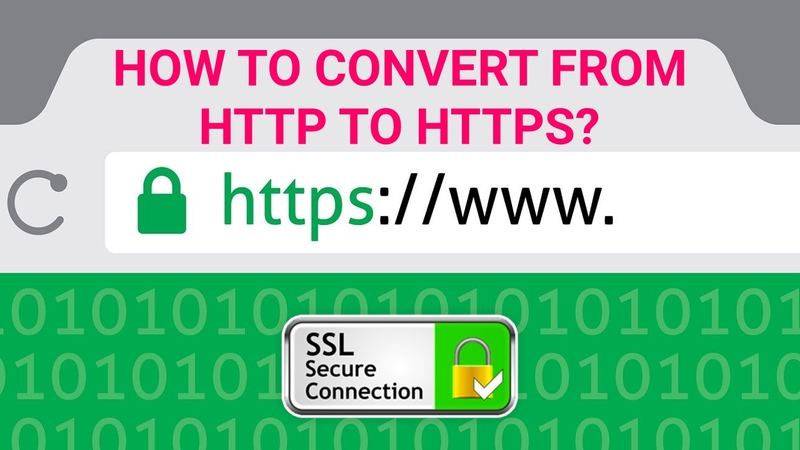 Well in this article I am going to show you a step by step process of everything you need to do to install the SSL certificate and change your website from http web to https without problems. 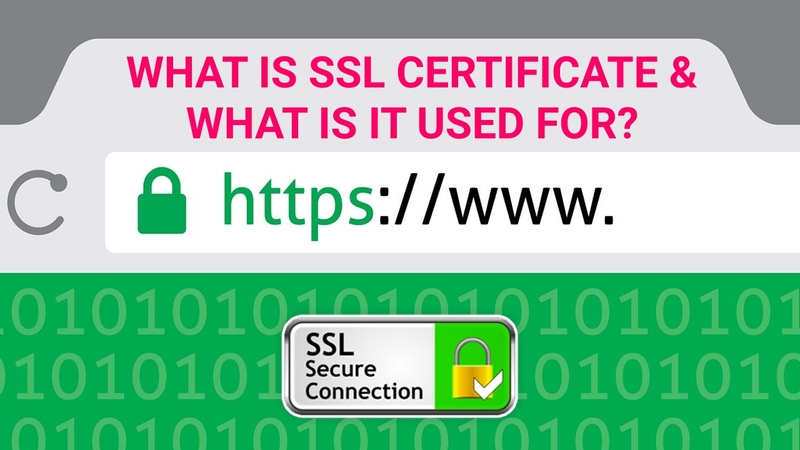 What is the SSL certificate and what is it used for? When someone accesses your website, the required information travels to the server and, from there, reaches the user. The SSL certificate is basically a security protocol that guarantees that the information on your website that is sent to the server before reaching the user who clicks is encrypted and, therefore, is secure. 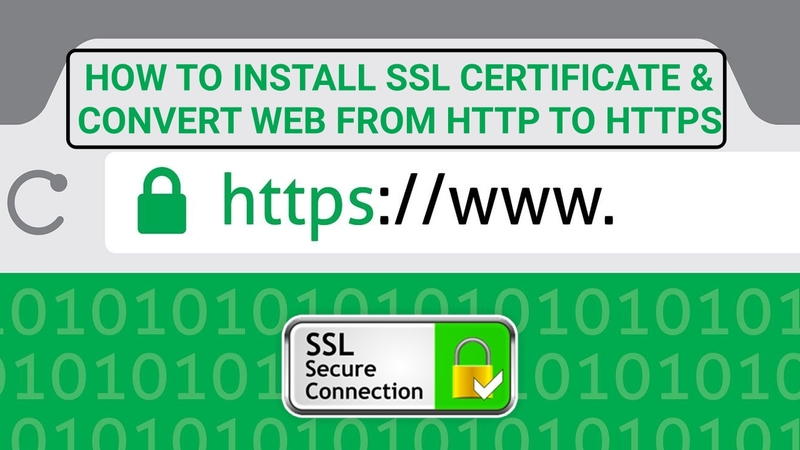 To do this, you must install this SSL certificate on your website, which will make your website go from the http protocol to https. Do not be scared, because it’s much simpler than you think and I’m going to show you what you should do. 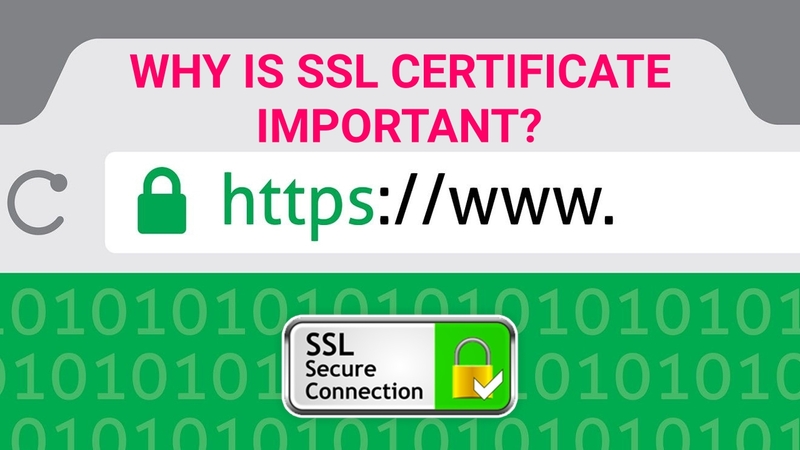 Why is the SSL certificate important? I’ll summarize it in three words: security, trust and SEO. Look at it this way. Internet security today is not an option but an obligation. This is why you must do everything in your power to guarantee your users with maximum security. You can see the installation of the SSL certificate as a mere procedure, which is, but 100% necessary. Much more if your website incorporates a payment gateway. In this case, the obligation is x 1,000. But even if your website is only content, you must also ensure it is a safe website to browse online. Because trust is everything. Security is synonymous with trust. Browsers like Google Chrome indicate directly to users in the navigation bar if the site they want to access is safe or not (https or http). If the browser itself indicates that a site is “not safe”, you have many ballots not to enter and look for another that is. Directly that message “is not safe” does not generate confidence. And, last but not least, we have the SEO factor. Google has already been warning for a while. The “safe” sites (with https) add points when positioning themselves better. So, as you see, definitely having the SSL certificate for your website is very important. If you do not have it, you should not take a second to react. Also, it will not take you long. All the terms http, https, SSL, security protocols, etc. It sounds very technical, right? Well, this does not scare you or take you back because nowadays going from http to https is very simple. You do not need to be a programmer or anything like that. All you have to do is follow these steps. Today, any quality hosting that boasts will offer you the SSL certificate for free among its services. If you have not hired yet a hosting provider, see if it includes it. This can also be an indicator to confirm that the hosting you choose is of quality. In fact, before choosing a hosting, you should supervise that it integrates CPanel, Installatron and SSL Certificate because they are things that will make your life a lot easier. A quality hosting will offer you these services. If you already have a hosting and at this point, it does not offer you the SSL certificate for free, consider switching. A good hosting provider will also give you support and help you in case you have a problem with this. You must access the client area of your hosting and look for the section “certificates”, “manage certificates”, “SSL”, etc. or access the CPanel and locate the “security” section. Next, find and activate the Lets Encrypt certificate. If you have this certificate, it is more than enough. Once the certificate is issued, all the new URLs you generate will be https. Go to the administration panel of your WordPress and click on Settings. In the General Settings section, change the address of WordPress and your site to https. And save the changes. Your hosting may not have this option. In case if you have a doubt, ask the support team for help, because not all hostings have the same options and in the same place. In your CPanel, look for the hosting configuration section and the Security section. Enable the permanent redirecting box 301 from http to https. The plugins are small programs that add functionality to our website and allow us to save a lot of effort and work. There are plugins that are like magic wands. And this is one of them. It’s called Really Simple SSL, it’s free and quite light, so it will not overload your website. Even if you are tempted to install a thousand plugins on your website, do not lose sight of the fact that plugins are programs that take up space and can slow down your site, which you should avoid at all costs. But this is not the case. Really Simple SSL is a very useful plugin that is worth having in our plugins list. Super fast and super simple, you will get all the content of your site becomes https. To install this plugin, go to the administration panel of your WordPress: PLUGINS -> Add New. Next, look for the Really Simple SSL plugin and click on “Install Now”. Once installed, click on “Activate”. Next, a screen will appear that will indicate that you have almost done the migration. Click on the “activate SSL” button. And ready, you already have it. Another option is to make redirects with .htaccess. Be very careful with this, because if you touch something that you should not, it can bring you problems. In fact, before touching anything, I recommend you do a backup. The .htaccess file is a hidden file that you must access through the CPanel of your hosting. To do this, locate the section of Files -> File Manager. Access the public_html folder and, from there, to .htaccess. Next, access the .htacess Editor and, above all, paste the code provided by your hosting provider and save the changes. I insist: if you have any doubt, consult your hosting provider, before touching anything without knowing. Once you have your website in https, you will have to notify the change to Google Search Console so that you can proceed to the proper indexing of the site and avoid tracking errors. Basically, you will have to add a new property with https. If before you had two domains configured in http (with www and without www), now you must create two more with https. It is not necessary to eliminate the old ones. As all your website old http pages have the redirection 301 to the new URL with https, Google will already understand the change. Also, you have to register the change in Google Analytics so that the tool can collect the data of your “new URLs”, which have now incorporated the https protocol. To do this, within the tool, access the ADMINISTRATOR menu. From there, click on “Property settings”. That is that. You are done with your website from changing from http to https by installing the SSL certificate on your website. Is this is a simple or not? I hope this guide will help you to Install the SSL certificate and change your website from http to https protocol. If you have any queries regarding the above method, let us know them in the below comment box. We will get back to you as soon as possible to solve all your queries. Do your website already have https protocol?